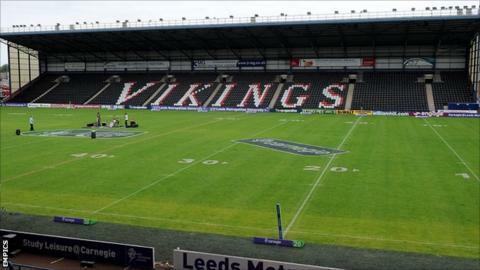 Widnes Vikings have appointed James Rule as their new chief executive. Rule, who resigned from a similar position at Hull last October, replaces Julie Gaskell, who helped to oversee the club's return to Super League. "When [chairman] Steve O'Connor approached me, I was instantly engaged by the vision that he has for Widnes Vikings," said Rule. "I am very excited by the opportunity. It is an honour to become CEO of a club with such a rich heritage as Widnes." He continued: "The first year following introduction to Super League is tough. I believe that the club, directors, staff, coaches, players and supporters have achieved a great deal this year and created strong foundations on which to build. "The focus now is to develop a sustainable business model to facilitate the continued growth of Widnes Vikings." In December 2011, Rule was banned for two years for a breach of anti-doping rules, after an investigation found he made false statements regarding Martin Gleeson's positive drugs test earlier in the year. O'Connor said: "I am aware that James has nine months left to serve on a sanction imposed by UK Anti-Doping. "James and I have talked at length about this and we can confirm that his role as CEO of Widnes fully respects the criteria stipulated in the sanction and does not conflict with it in any capacity."